The Paramedic degree program is a combination of allied health and general education courses designed to give students the complex knowledge and skills necessary for the acute management and transportation of the broad range of critical and emergent patients who access the emergency medical system. Coursework includes specialized subject matter, laboratory, clinical, and vehicle experiences which prepare individuals to become members of the emergency medical services health care team, working under the direction of a physician. The Paramedic provides emergency care based on an advanced assessment and the formulation of a field impression while focusing on minimizing secondary injury and providing comfort to the patient and family. Course and clinical activities incorporate invasive procedures and pharmacological interventions to reduce the morbidity and mortality associated with acute out-of-hospital medical and traumatic emergencies. 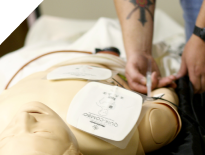 As part of their classroom experience students will also complete courses in International Trauma Life Support-Adult and Pediatric Provider, Advanced Cardiac Life Support, and Pediatric Advanced Life Support. 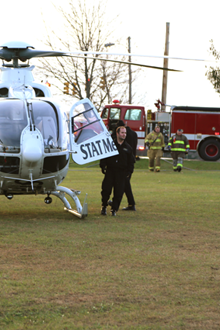 Students successfully completing the program will be eligible for State of Ohio certification testing, as stipulated by the Ohio Division of Emergency Medical Services. Policies for all students in the Emergency Medical Services programs are in the Academic Policies section of Belmont College catalog. Testing/certification eligibility is stipulated by the Ohio Division of EMS. Belmont College offers the Paramedic Transitional Nursing curriculum in which a Certified Paramedic has the opportunity to enter the second level of the Associate Degree Nursing (ADN) program. Following the Paramedic Transitional Nursing term, the Certified Paramedic can pursue an Associate Degree in Nursing and become eligible to take NCLEX-RN. Demonstrate the ability to understand, apply, and evaluate the clinical information necessary for managing and transporting acute medical and traumatic patients. Demonstrate proficiency with all technical skills as relative to providing emergency medical care and transportation to critical and emergent patients. Demonstrate professional attitudes and behaviors consistent with the expectations of area employers and the local, medical community.